Monthly groups and workshops/one-to-one sessions. Please visit our Facebook page for full details of JSJ activities. An ancient healing art of bringing harmony and the life energy into the body. The gentle treatment is by touch, practised by placing the fingertips of each hand, over clothing, on designated areas in sequences, to harmonise and restore the energy flow, helping our body to begin to heal. Jin Shin Jyutsu® employs twenty-six ‘safety energy locks’ along energy pathways that feed life into all cells. When one or more of these paths become blocked, the damming effect can lead to discomfort or pain. Jin Shin Jyutsu releases the tensions that cause various physical symptoms in the body. This gentle yet profound healing art harmonises and balances the energy flow to help our body to begin to heal itself. What does Jin Shin Jyutsu mean? Jin Shin Jyutsu® (pronounced Gin Shin Jitsoo) is an ancient and pure healing art lost for thousands of years until rediscovered in the early 20th century, now enjoying a wide revival and having a universal appeal. 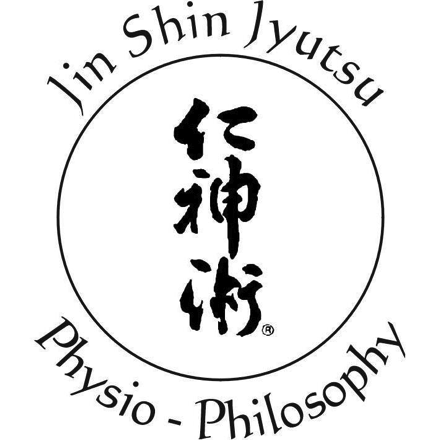 Its full title is ‘Jin Shin Jyutsu® physio-philosophy’. Its philosophy is the richness of Jin Shin Jyutsu, but it also has very practical applications and may help to ease the pain and discomfort of many health conditions, physical, mental and emotional. The treatment is non-intrusive and lasts about an hour. The client is asked to lie face up on a treatment couch, fully clothed, and with a pillow, knee support and cover as needed for comfort. There is no massage or manipulation; the treatment is by gentle touch, practised by placing the hands or fingertips over clothing, on specific areas, in combination; the practitioner’s hands are sensitive to pulsations in these areas, and respond by moving slowly and gently over several of these specific areas in sequences to release blocked energy, inducing relaxation, allowing the revitalising energy to flow and rebalance, and bringing the body back into harmony. Elizabeth is passionate about the Self-Help aspect of Jin Shin Jyutsu and at the end of treatments she offers clients suggestions for exercises they can do for themselves between treatments if they wish to. She also loves holding workshops to help others to be empowered to help themselves. Jin Shin Jyutsu self-help can be as simple as wrapping the fingers of one hand around the thumb and/or the fingers of the other hand, one at a time, and holding each gently for a few minutes or longer, possibly beginning to feel a pulsation. Through Jin Shin Jyutsu self-help, we awaken our understanding that we are all endowed with the ability to harmonise and balance ourselves to be in rhythm with the universe. Would you love to be empowered to maintain and sustain your daily existence and experience the joy and wonder of connection to the source of universal energy? – to feel fully engaged and connected with life……………..
Elizabeth will guide us through many wonderful gentle hand placement exercises that are easy to learn so that we are empowered to help ourselves to release tensions and discomforts, harmonise our breathing with the rhythm of the universe, and revitalise physical, mental or emotional fatigue – bringing calm and peace, serenity and security, and more awareness of Myself and the oneness within. – Jin Shin Jyutsu is not and does not have any connection with any religion, sect, cult or dogma. No faith or belief system is required or involved and it holds no creed or doctrine. – A Jin Shin Jyutsu practitioner does not diagnose, nor make claim to cure.